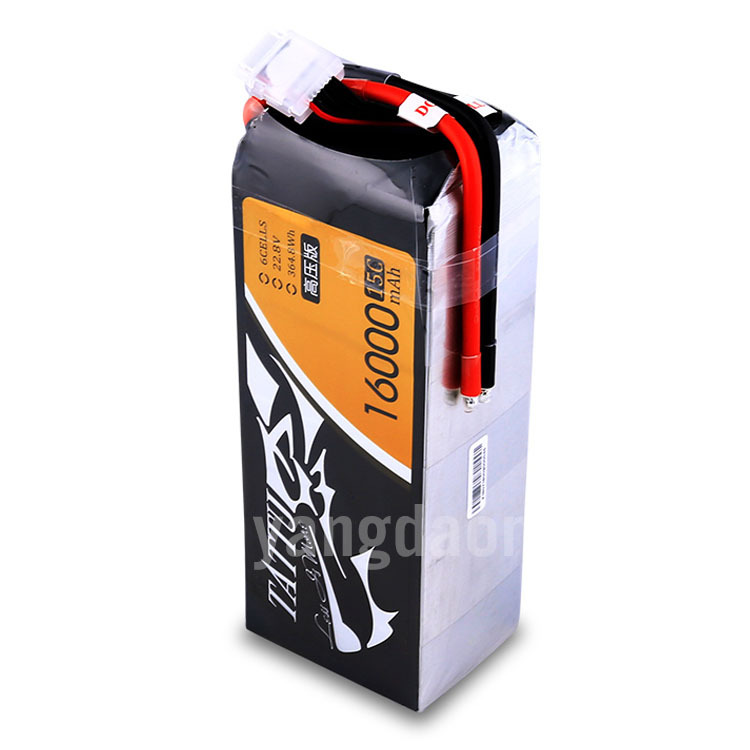 Notice: please contact with the sales person for detailed battery shipping method and cost. 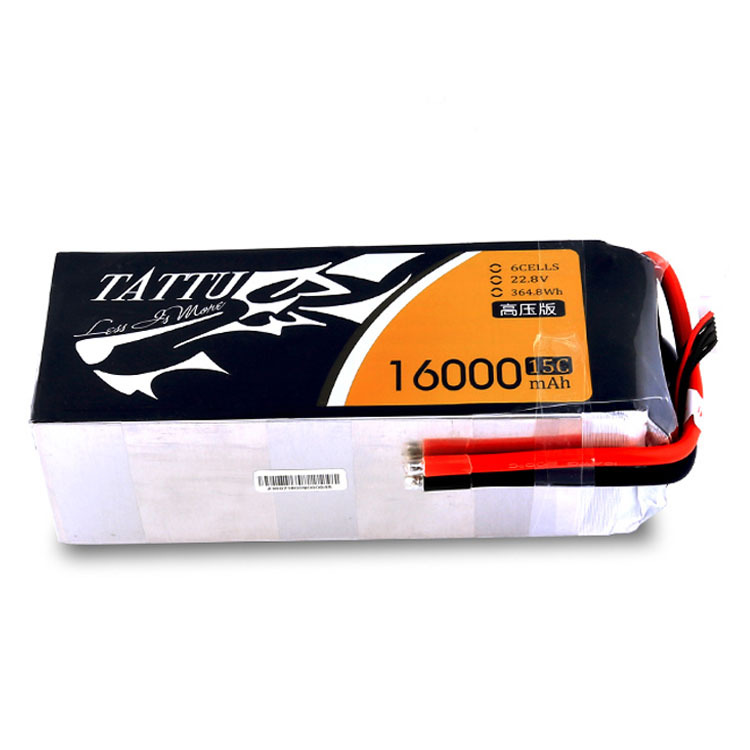 Tattu 6S 16000mAh High Voltage LiPo battery holds a higher voltage charge per cell, which results in more potential power for your UAV. Each cell can be safely charged to 4.35v per cell, up from the standard 4.2v per cell. 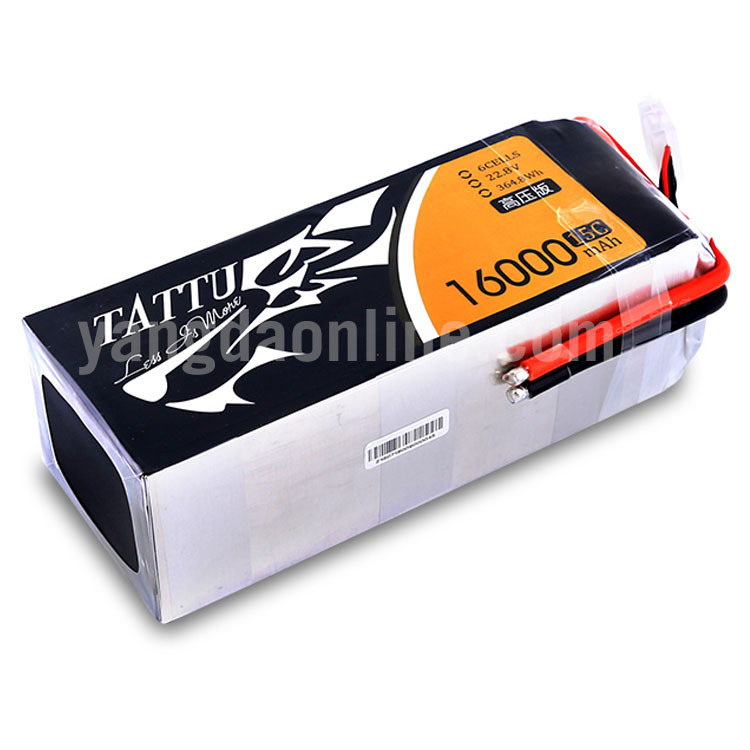 UAV flight time can be greatly improved, up to 15-25%.